Let me first say that making a Mario Tennis game for the 3DS was Nintendo’s best idea since remaking Star Fox 64 for the 3DS. It is also the only 3DS game other than Star Fox 64 3D that has held my interest for more than five days. That saying, I haven’t played a whole lot of 3DS games so far. This is of course because I’ve been busy, and not because the vast majority of 3DS games look really lame. Let me secondly say that if you are older than seven and don’t possess any kind of severe mental handicap, I would suggest two things. One: play using the buttons rather than the stylus. Two: Turn the stupid gyro controls off. I suggest these things because they will actually make the game challenging at some point. Without this sage advice to guide me, I did as the game suggested and used the stylus to play. 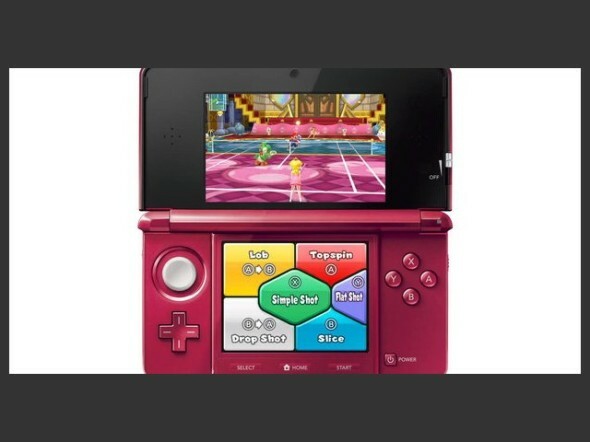 The bottom screen is laid out with a color-coded display of all the different tennis moves you can make. There’s the simple shot, the top spin, the drop shot, the slice, etc. You can either tap on the screen to choose your hit, or use the A, B, Y, and X buttons. Using the buttons was more difficult for me, especially since two of the moves require you to hit two different buttons in succession (A and then B or B and then A). This results in a lot of early-game button mashing, as is to be expected. However, it’s worth it in the end, and early on will prevent the game from seeming so mind-numbingly easy. I also played using the gyro controls. 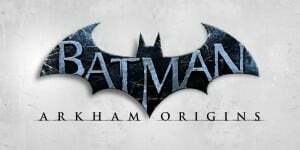 In other games (i.e. Star Fox 64 3D), gyro controls make it so turning the 3DS system will control the character (space ship). In Mario Tennis Open, this feature can be used to control which direction you hit the ball, and also eliminates the need for your left thumb. It takes complete control of your characters’ legs, so that they automatically run to the place the ball is going. All I had to do was tap stylus and turn the 3DS left and right. 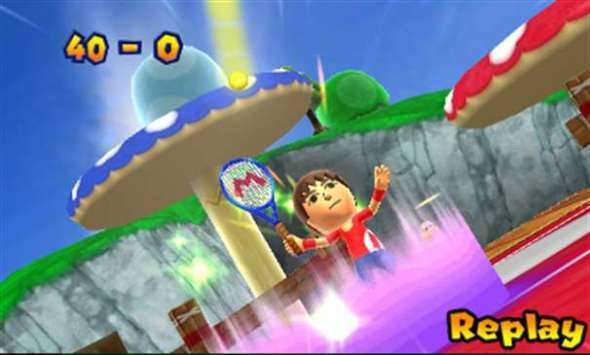 In Mario Tennis Open, the main part of the game takes place in two sets of tournaments. First you play the regular tournaments (of which there are four, as it was and always shall be), then you unlock a second, harder set of tournaments. With the stylus and gyro controls, I beat all eight tournaments without losing a single game. And by game, I don’t mean match. I mean game, as in you win two games to win the set and two sets to win the match. Not one game. The game does offer a challenge, however, after you beat the last tournament. That’s when you unlock Ace NPC’s. These opponents are definitely challenging. This doesn’t make them fun. They’re too perfect, which means that you will play excruciatingly long matches against them which you will inevitably lose because you will get tired/bored. That, or I’m just not good enough yet without the gyro controls to beat them and therefore not qualified to say anything on the subject. Let’s hope that’s not the case. The doubles tournament does make things a little more difficult even with the gyro controls, but only because all computer players are incompetent piles of worthlessness when they’re on your team. I imagine that playing doubles with a friend, as in Mario Tennis for the Nintendo 64, is great fun. However, it’s a whole lot easier to play with a friend when all you need is a second controller instead of needing a second $160 piece of hardware. All my friends are poor, and there is no online doubles, so I wouldn’t know if Mario Tennis Open doubles is fun or not. 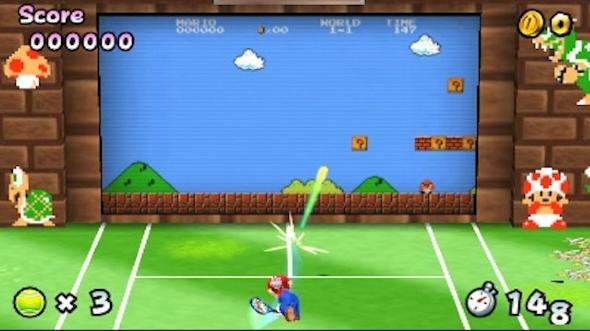 The best way to make this game fun is to play it as much like the original Mario Tennis as possible. Without the gyro controls, I found myself sweating to beat certain opponents. However, over time, the freedom to be creative with my movement made me a better player than I ever could have been with the gyro controls. I just wish the game hadn’t started out by telling me how to play the baby way. The game does one thing which is so dumb that I honest-to-god face palmed when it happened. Several matches after I had been directed to play with the stylus, it casually mentions that I can dive for hard-to-reach balls with the R button. Being right-handed and stubborn, I attempted to use the R button with my pinky. The results were not pretty. Eventually, I had to force myself to put the stylus away and essentially re-learn the game. 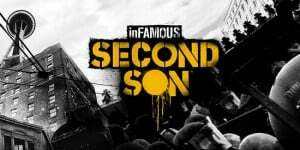 Aside from these early annoyances, the game is fun and will keep you entertained for a good long while. There are some tennis mini-games you can play, which include hitting balls through rings, rally games with disappearing floors, some weird game where Piranha Plants shoot ink at you, and the best of all: Super Mario Tennis. This is one of those rare Mario game mini-games which is actually a good idea and fun for more than ten minutes. You hit the ball off of the game screen as it scrolls through levels of Super Mario Bros, scoring points by hitting blocks and enemies with your call. You will soon notice that you do not have enough time to reach the end, but the ingenious part is that you gain time by scoring points. You can even make your ball bigger/shoot fireballs by hitting mushrooms and fire flowers. 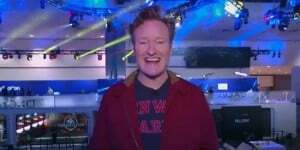 The only part I didn’t like about it is that there were only four levels. Still, I appreciate the creativity. Nintendo also doesn’t fail to cater to us completionists by including tons of stuff to unlock, buy, and dress up your Mii character with. Call me girly if you like, but I love my rainbow Super Star racket. Although I spent a lot of this review complaining about it being too easy, you can find sufficient challenge in the online and StreetPass matches. The online matches will set you up with someone within your rank, which is determined by a point system wherein you start with 2000 points and gain/lose points for winning/losing. StreetPass matches are just with computer player Miis of the people you StreetPass with, but they get harder the more matches you win. As is expected, Mario Tennis Open is visually spectacular, especially if you like cute. The Super Mario Galaxy court was even enough to make me pause in admiration. I’m sure it looks even better in 3D, but I don’t use that feature as I’m not a fan of eye strain. The music, sound effects, and display all live up to Nintendo’s high standards. Although I’m not sure what they were doing with the female Mii voices. I’ve never actually played tennis, but if I did, I wouldn’t make noises like that. All in all, I’m a bit disappointed with Mario Tennis Open, but I know this stems from comparing it to the days of my youth, when my best buddy and I used to drive our opponents into the ground playing doubles matches on the Nintendo 64’s Mario Tennis. Unfortunately, it’s become much more difficult (expensive) to re-create this experience. But I do appreciate having a mobile Mario Tennis game, which provides many hours of quality entertainment once you discover the right way to play it. It may prove yet to be the 3DS game I play most, as it is the first I’ve owned with any kind of online play (no, I don’t have Mario Kart 7, I don’t know why, leave me alone). Although Mario Tennis Open had a bad first impression for me, I’m confident that it will be well worth the price (of the game plus Aspirin for the pinky pain).